We can’t get enough art and learning about new culture, so when we learned about the George Segal Gallery at Montclair State University, we had to go. Combining three centuries (18th, 19th, & 20th) of Japanese culture, the exhibit captures printmakers who inspired Van Gogh and Degas to sculptures on loan from the Helene Kosloski Collection. In addition, the gallery is presenting a lecture showcasing the importance of tea in Japan called, All the Tea In Japan/History and Culture, which takes place on Saturday, April 11 from 3 PM to 4 PM. 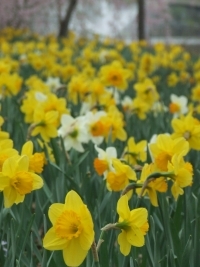 A spring workshop by Mierop Design and Terra Graphics Landscape Services. All-Season Formal garden. Educational to apply to their own gardens. Special interest to new homeowners who need help getting started. Designing/preparing outdoor space for planting – Basics in every project: finding light, the right place for a patio, optimizing small spaces, disguising unwanted views and organizing for kids, cars and pets (yay!). Plus what to expect when hiring a professional. For the past few years, Shen Yun has been getting bigger and bigger and we’re hoping this year we’ll finally get to go. Chinese culture prohibits the presentation of the ancient culture which makes this event so special. 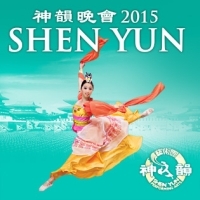 Taking you on a journey to the ancient empires, Shen Yun explores colorful, classical dance with vivid backdrops. Continuing in the tradition of art, the Gala of the Arts at MAM sounds amazing, but we probably won’t be going. At $500, the price may be steep, but every event they do is so wonderful and unique, this must be good. 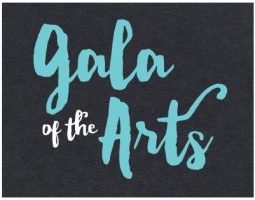 The gala will showcase contemporary art, a cocktail reception, and a seated dinner. Do you love chili? We do! And what’s better than enjoying good chili and good drinks with good friends in the community. Locals will get to try their hand at different categories and get judged by some pretty impressive culinary minds; Karen Schloss Diaz, Restaurant & Food Trends columnist for The Montclair Times/NorthJersey.com; New Jersey Monthly magazine’s Rosalie Saferstein and Andrew Zimmer, Thrillist’s New York Editor. All while the rest of the hungry and thirsty patrons enjoy beer, music, dessert, and of course, chili. 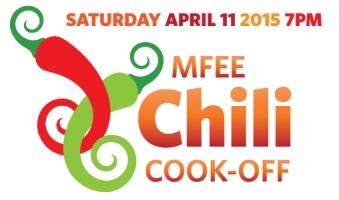 As so many Montclair events are, it’s all for a good cause – the Montclair Public School system. There are few things in Essex County more magnificent than Branch Brook Park in the spring. If you haven’t been, definitely check it out. Try to go during the week, or prepare to walk a bit. The first time we entered off 280 over by the beautiful cathedral church, parked and were underwhelmed. The scene of the church on the water lined with Cherry Blossoms is beautiful, but certainly not the one that supposedly surpassed the D.C. festival. Not nearly as crowded either. Then we found out the festival is on a whole other side of the park. You really don’t realize just how big the park is, until you’ve driven (or walked) from end to end. 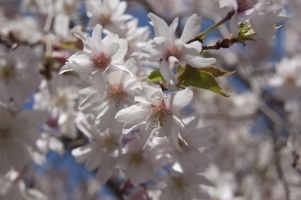 Stretching over 365 acres, the park boasts 4,000 cherry blossom trees, with 10 different species. All week long there are different events, but we prefer just to do our own self-guided tour of the magnificence. It is much different than D.C. too, much more of a natural approach rather than lining streets and paths with the trees which is beautiful in it’s own right. Just different. This year could be a little interesting though. In recent years the event has been happening earlier and earlier, so the event adjusted it’s dates. Due to this years cold weather, the trees look to blossom the next week. We loved Dr. Cameron. He is so wonderful with all animals, especially cats. This is the first adoption event of many he is hosting this year. Others will take place on Sunday, May 3rd and Sunday, May 17. All adoptions include FeLV/FIV testing, deworming, vaccination, microchipping, and spay/neuter surgery. Of course everything goes to a good cause to, helping the provide shelter, food, medical care, vaccinations, enrichment and behavioral rehabilitation. 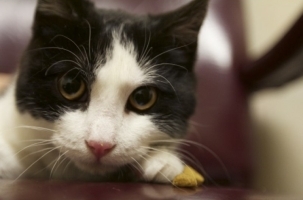 Family-owned and in Montclair since 1936, Cameron Animal Hospital caters to more than just cats, but mostly small animals and have always been involved in the Essex County rescue community. This is part two of the Landscape By the Yard series, conducted by Mierop Design and Terra Graphics Landscape Services. 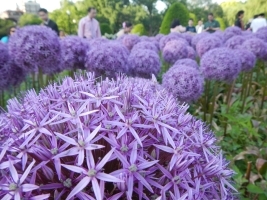 The portion goes in to depth we have always been uncomfortable with ourselves, unusual plants. They are so beautiful, so exotic, yet how are they cared for. Highlighted will be unusual or unique trees, shrubs, and perennials. Including advice on how to install and care for new additions. An evening of comedy supporting PAWS, a rescue and shelter organization in Montclair for the past 37 years. 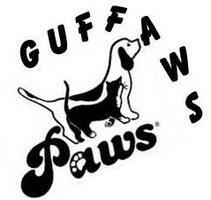 PAWS finds forever homes for at-risk pet, promotes spay-neuter, and humane education. Sounds good to us. We grew up watching The Price is Right on CBS. So when we heard it’s coming to NJ, it had to make the list. One of the longest running shows on network television, TPIR and Bob Barker always have a special place in our heart imploring everyone spay and neuter pets to keep the pet population down. In kind, Drew Carey continues the tradition. So Come on down. 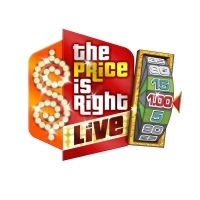 You’re the next contestant on The Price is Right Live! Do you know the story of Don Quixote, Man of La Mancha? Probably about the same as we do. I know the premise, but not the whole story. The Montclair Operetta Club does just this, teaches us the fable of Alonso Quixano turned Don Quixote, the chivalrous knight. 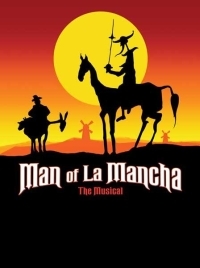 Predicated on Cervantes, Don Quixote, Man of La Mancha is a bitter story of a dying man whose dream takes over his mind as he fights imaginary monsters. The book is later haled one of the classic pieces of literature. (I am not Jewish, otherwise Passover could easily take this) Any holiday bringing friends and family and food together has to be on a top events list. Besides, who doesn’t love a good egg hunt. Many of our friends would probably say that eating the hard boiled eggs is the best part, but I love dying them and coming up with creative combinations. You love the Earth. I love the Earth. Do something nice for it. Plant a tree, donate electronics, don’t drive, turn off the electronics, reuse items, and buy locally! The smallest things help, and if we all do our part, the Earth will be around for a much longer time. You love the Trees. I love the Trees. Do something nice for them. Ok, this sounds extremely familiar. Probably because it is. Most things in Earth day are the same. That doesn’t mean these are the only days we should participate, just do your part and spread the word.